Want to watch some creepy movies to get into that festive Halloween spirit? Well, grab your popcorn and candy corn because we present to you a list of best Halloween movies ever! Keep in mind, these are mostly old movies that became classic Halloween movies over the years. Coraline (Dakota Fanning) and her parents move from Michigan to Oregon, where they work jobs that cause her to be home alone the majority of the time. After receiving a mysterious doll from one of her new neighbours, Coraline discovers the Other World, which includes Other Mother and Other Father, parents who are much more attentive to Coraline than her own. Coraline soon discovers that the world is not what it seems and tries to make her way back home and to her real parents. Jack Skellington, the Pumpkin King of Halloween Town, becomes bored with the town’s namesake holiday, which the townspeople prepare all year for. When he accidentally finds himself in Christmas Town, he decides to take over the holiday and kidnap Santa. He doesn’t do the holiday quite right, though — Jack’s Christmas involves shrunken heads as toys and skeletal reindeer. Chloe Grace Moretz’s role is super creepy, but her talent in acting make it a masterpiece. Chloe plays an outcast named Carrie, who lives with a super religious mother, that is borderline insane. She is confronted with bullies in school but soon gets her revenge. Find out how by watching the movie. Somehow, the young (and alive!) 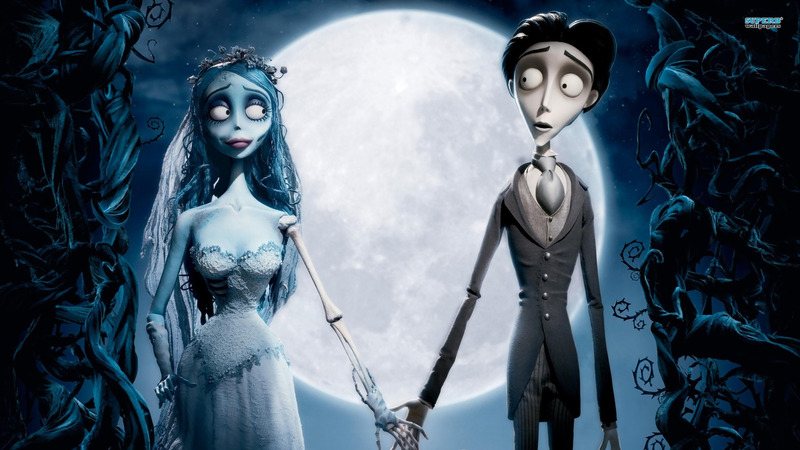 Victor Van Dort (the voice of Johnny Depp) ends up marrying not his intended bride-to-be, but the Corpse Bride, a skeletal woman who also happens to be dead. Now Victor has to make a choice between his new Corpse Bride and his once-fiancé, Victoria. Oh, the drama!